Don't forget to download the free iPhone companion app that will scan barcodes into Booxter and also let you export your collections to your iPhone or iPod Touch! -List: A standard list of items, row-by-row, with columns that you can customize. -Filter: Lets you drill down by various attributes to quickly and easily find what you are looking for. -Tag: Illustrates item counts by their sizes in a large grouping of tags. 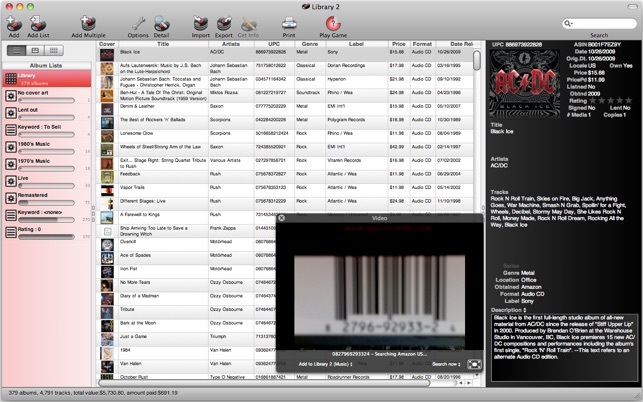 There are 3 ways to scan barcodes and have items added to Booxter. -Video: Use your iSight video camera (or other webcam or camcorder) to scan in barcodes visually. -Wireless: Use a Bluetooth barcode scanner to scan in barcodes wirelessly. -USB: Use a tethered USB barcode scanner to enter barcodes quickly and easily. (Barcode scanning can be done with books, music and movies; comic book barcode scanning is not currently supported). Booxter can search many different online sources. More are being added. If you would like a certain source supported, let us know. There are 3 ways to print from Booxter. -Single item: Print out a single item per page. -Multiple items: Print out multiple items per page, like a spreadsheet. -Labels: Print out labels that you can attach to your items. Smart lists: Create dynamic, intelligent lists to help you keep track of things easily. Import: Import from comma or tab-delimited text files, or from a number of other products. 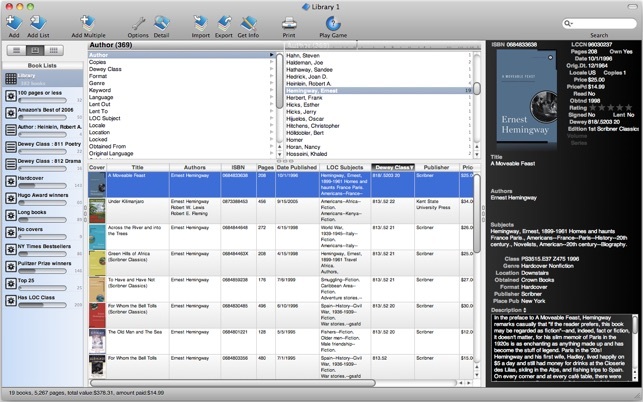 Export to files: Export to a variety of formats, including CSV, XML, HTML, BibTeX and more. Export to iPhone/iPod Touch: With the free companion app, conveniently carry your collections with you. Export to iPod Classic: Export to an older iPod Classic. Lending: Keep track of items that you've lent out, integrated with your Address Book. 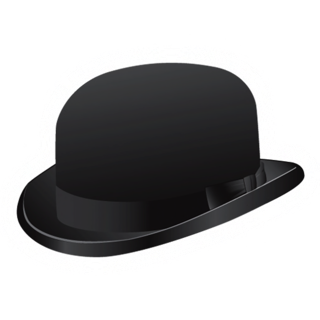 Game: Play a quiz game based upon the items in your collection. Localization: Localized in English, French, German, Dutch, Spanish, Italian, and Japanese. Check out the Tips and Tricks section from the Help menu to learn more about the many great things that Booxter has to offer. - [10.12] Fixed Amazon searches. list between my Mac and mt ipod Touch, even though I was a little hesitant to spend so much money on an app. I figured it would be worth it for the convenience of not having to create a manual catalog of my books. Almost right away I ran into problems - the barcode photo scanner was very sensitive so it took a long time to get a clear enough picture for the app to recognize the book. It was faster to type the barcodes in by hand, so I did. That wasn't so bad, but it was not made clear in the description of the app that you would need wifi to transfer between the two. I did not have wireless in my home at the time, so it did not work. I recently added a wireless internet to my home and tried to transfer the files, it did not work. I followed the directions given to share with Bonjour from my Mac, opened sharing in the Touch app, and got nothing. After several tries, I gave up in frustration. Apps are supposed to be easy to use, and this one is just about useless. I wish the app store gave refunds, I would definitely return this app if possible. It is a complete waste of money, and such a disappointment when I had such high hopes for it. I had great hopes for this app. And I have tried repeatedly to use it successfully. But its design just isn't good enough, it doesn't work well enough, and it has no support at all. I mean, not even a FAQ, and almost no instructions. I was really looking forward to being able to get call numbers and subject headings for my books, and I loved the idea of being able to sort and print out lists. I have thousands of books and it is very, very time-consuming to try to catalog them by hand. However, many of my books are old enough to lack ISBNs, and quite a few are even older and lack LC numbers. Booxter can't help me with these! As for printing, it really doesn't work; if you use more than a few fields (and why wouldn't you, when Booxter offers so many?) they don't fit on the paper! I have spent a year trying to get Booxter to be worth *any* effort, let alone money, but at this point I am giving up. The effort of cataloging my books by hand will actually be more rewarding. Picked up the lite version to help catalog my comics, and ended up finding the interface, while hard to navigate initially, very full of information and was helpful to explain the system. Some of the batch loading and batch editing appears to be a little glitchy, but all in all, its an awesome tool and does exactly what it says to do and catalogs my comics. I'm getting started getting my books and possibly movies in there too. 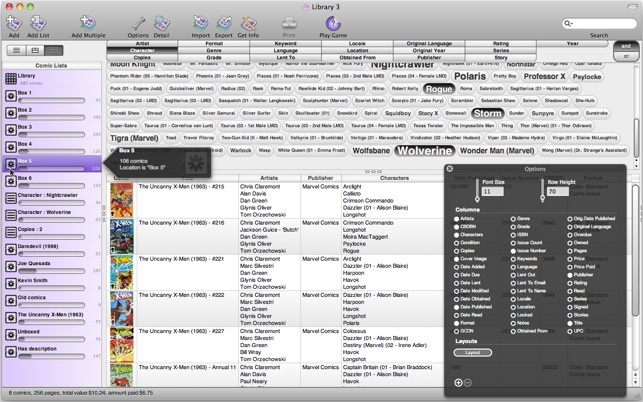 Best tool I've seen so far for comic cataloging on the Mac. A little spendy, but if you're an archivist of your own media, its worth every penny.